Can you imagine being asked to spend a day shopping, pulling out new trends and chatting about all things AW16...? That's my kinda' day. Quedam Shopping Centre invited me and the gorgeous Rhian to do just this - it turns out that we are style sisters so do check out her posts on the Quedam 'Inspire Me' page. We started the day with lashings of caffeinated double shots in Starbucks, totally fuelling us for the shops - I'd already eyeballed the key stores for me; New Look, River Island, Primark, M&S, H&M and Topshop. The first task, post coffee, was to do a sweep of the stores prior to an afternoon of smash and grab shopping. My initial thoughts were that this was a fairly small centre, would I find anything... ?? It turns out that size doesn't matter (who knew) and in actual fact, I was more focused than I'd been in a long time at the shops and had a hard time not going cash crazy! The key to shopping and personal styling is to be true to yourself, your figure and your lifestyle whilst, having fun with the trends. This has become more apparent as my income has changed too - instead of just buying all the individual pieces I want, I now consider everything and build looks in my head to justify the purchases - spending the time looking around the stores first made this so much easier. 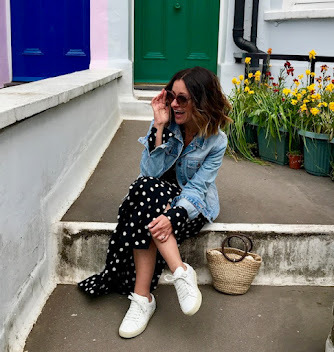 For me, this was the first shopping trip without Olivia - the excitement of a new season shopping haul fought with the sense that I'd forgotten something all day however, the #FallForStyle challenge was on. I started the browsing at New Look, this one is a good size and the staff were so helpful!! I spent a small fortune in my head before elevenses. As I worked my way through the Quedam Centre, I took photos of pieces I wanted to go back to and then mentally built outfits as I went. Soooo, how would you burn £100...? Starting with these two pieces from New Look - I bought the cami on the day and then went back for the jeans!! The cami is the perfect AW colour that can be layered or, worn on it's own. Buy the cami here or in store at New Look at The Quedam Centre. The gold choker necklace from River Island - Layering on the neck is the perfect way to modernise your look. Buy here or in store at The Quedam Centre. 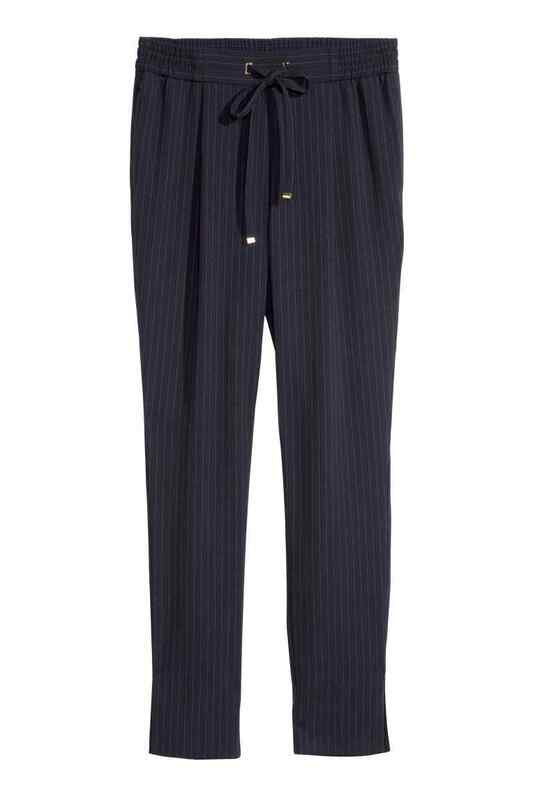 These H&M navy pinstripe joggers are in.cred.ible!!! For just £24.99 they are easy to wear and have already had several outings! 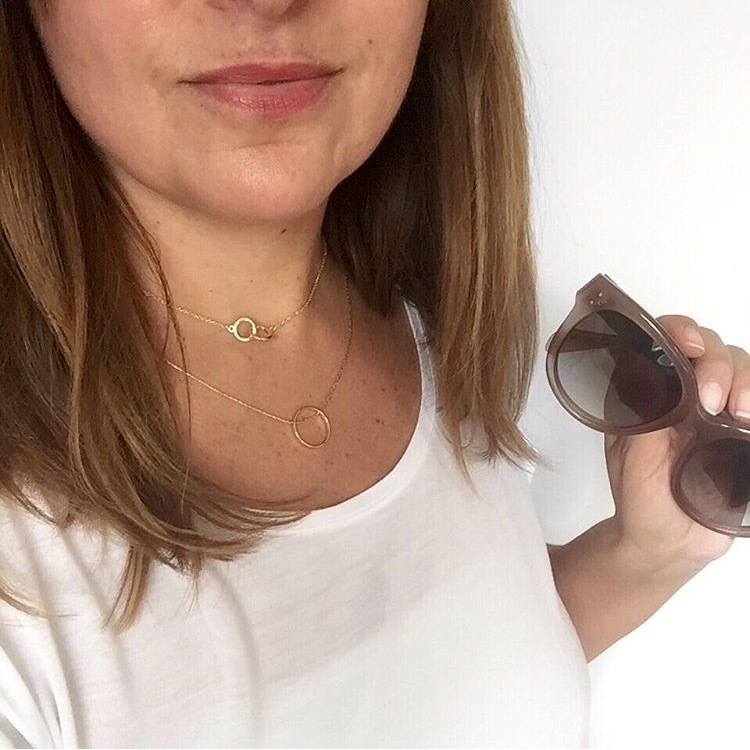 I've worn them with Stan Smiths and a slogan tee and then, heeled sandals and a pale blue off the shoulder top (just like the changing room selfie below). 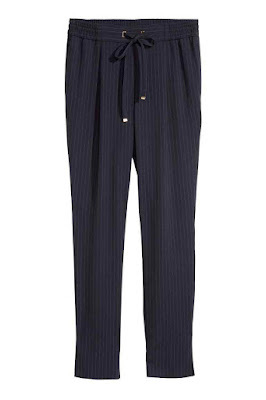 Buy these joggers in store at H&M at The Quedam Centre or online here. This River Island skirt is stunning. It's true to size, the wrap and bow detail are on trend and flattering - DOUBLE WIN! Buy here or in store at The Quedam Centre. Here's the skirt again in a changing room selfie. I've paired this with the most stunning mustard batwing knit, another key trend this season. This knit looks amazing with my boyfriend jeans and trainers too! Buy here or in River Island at The Quedam Centre. Last up, some geek clear glasses, just for fun!! 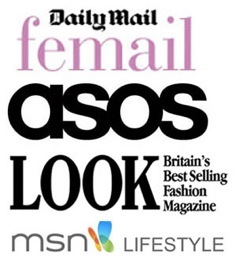 Buy here or in store at H&M at The Quedam Centre. 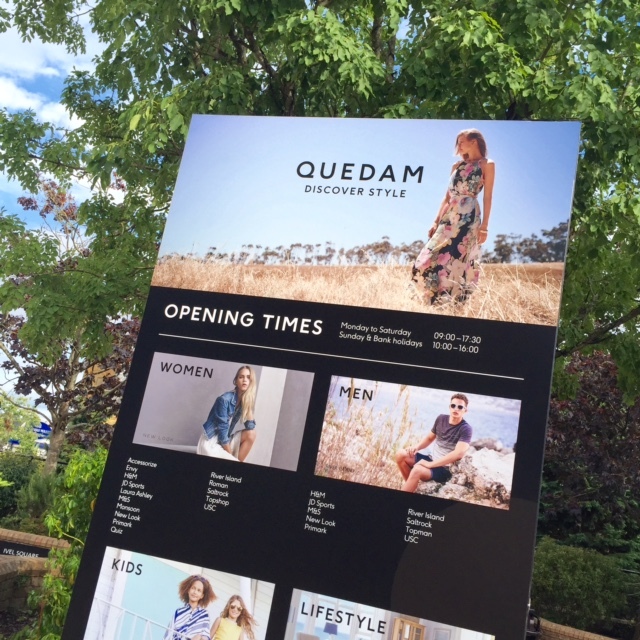 Don't forget to check out the Battle of The Brands competition running at Quedam for a chance to win £100 to spend!